Contents: This single contained the initial release of Ken and Joe's songs. 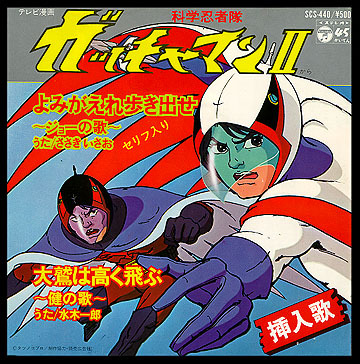 They both later turned up on the Gatchaman II Best Hit Songs Collection record. Stereo.